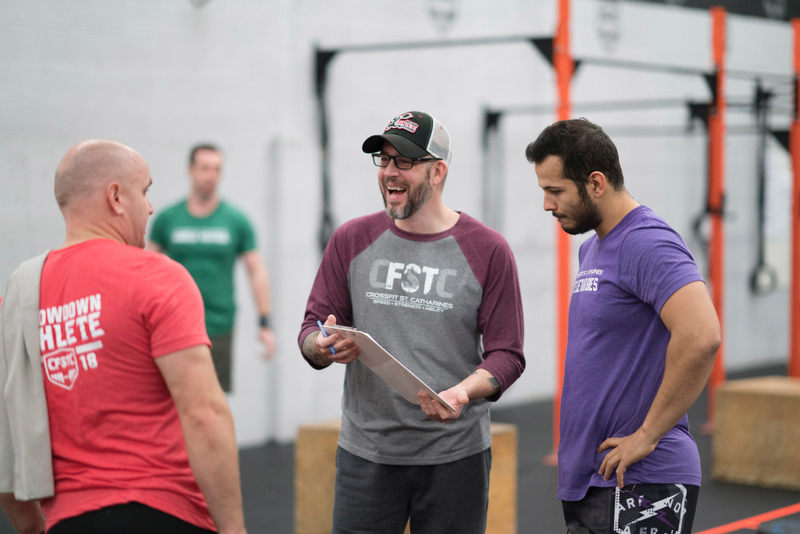 At CrossFit St. Catharines we pride ourselves on having the region's best, most qualified and highly experienced coaches you could ask for! 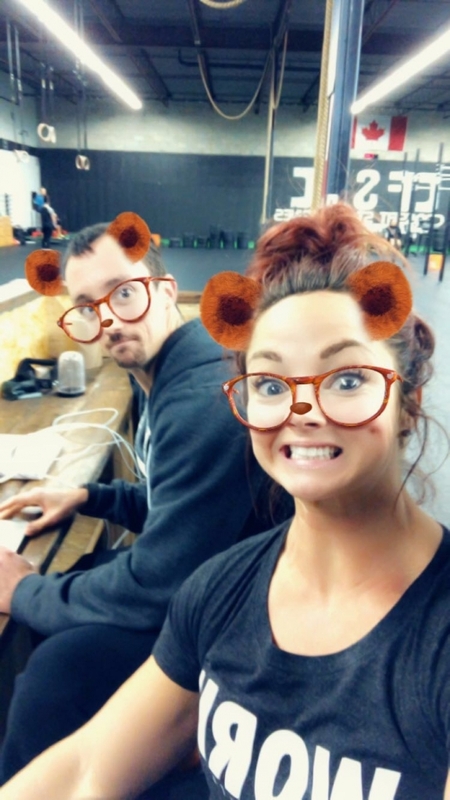 You can expect professional, enthusiastic, entertaining and always approachable demeanours, leaving you feeling energized and ready to fight a bear when you leave the gym! 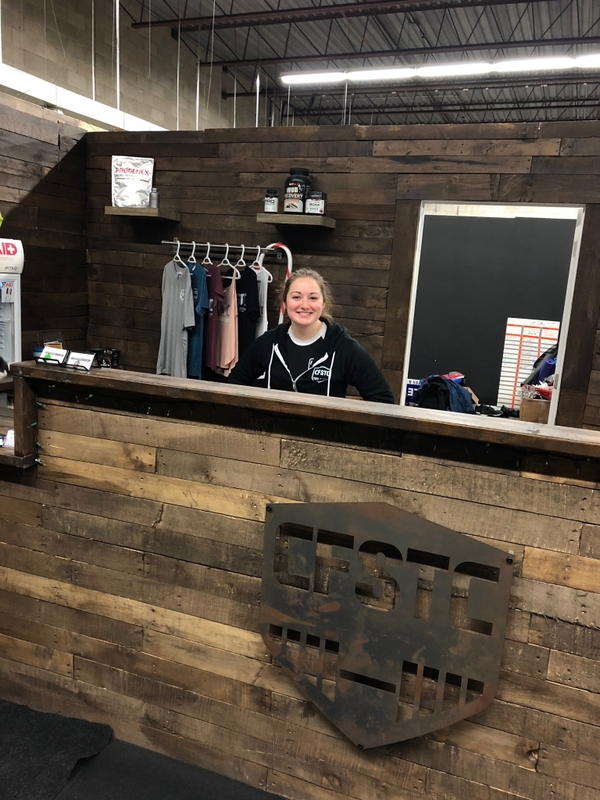 Ashley is one of the Owners here at CrossFit St. Catharines and loves every second she gets to spend influencing, coaching and helping people change their life for the better every single day! 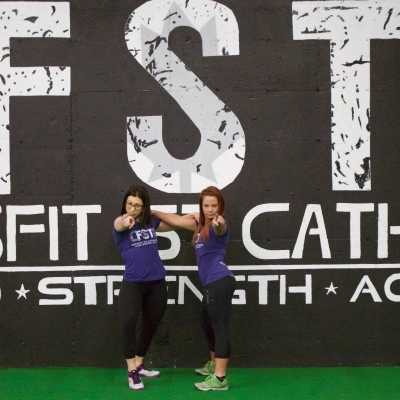 I started CrossFit in May 2012 and immediately fell in love with the crazy workouts! I thought I had been working out at a high level, until CrossFit proved me to be wrong, very wrong. As most people figure out - its very humbling. Not only did I fall in love with the level of training, I fell in love with the community that I was welcomed into from the very first day. 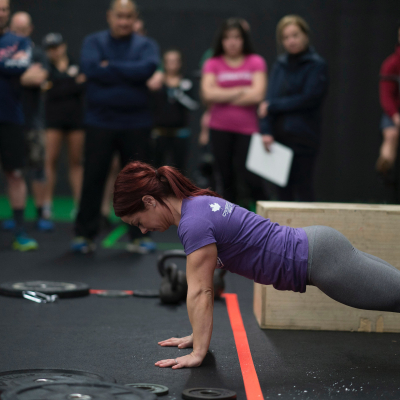 My first CrossFit workout was alongside an amazing lady named Wendy, a grandmother in her early 50’s, and to my other side was a Brock University student in her early 20’s - and we were all slugging away at the same things. Sweating, swearing and laughing every step of the way. 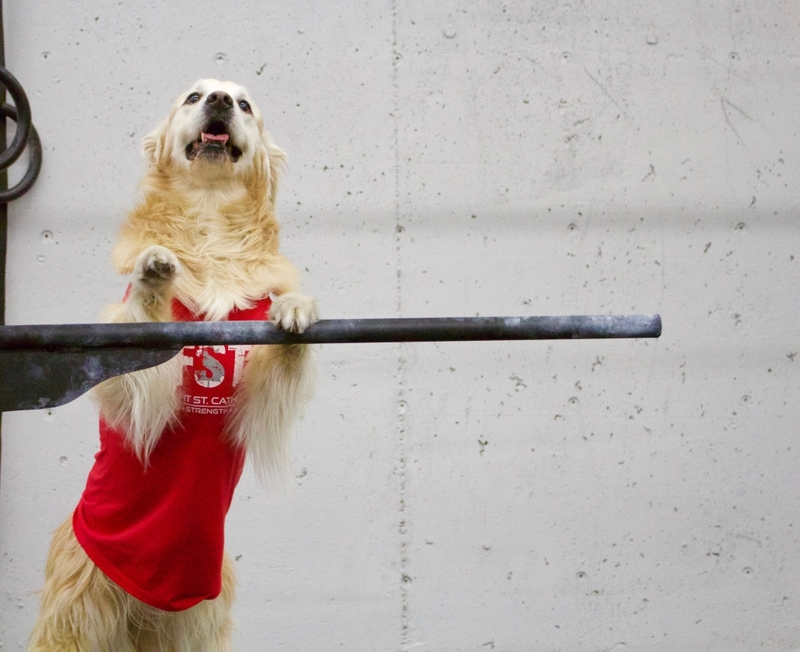 Just another amazing thing I love about CrossFit - anyone can do it! Right away I knew this was something I wanted to engulf myself in, in every aspect. 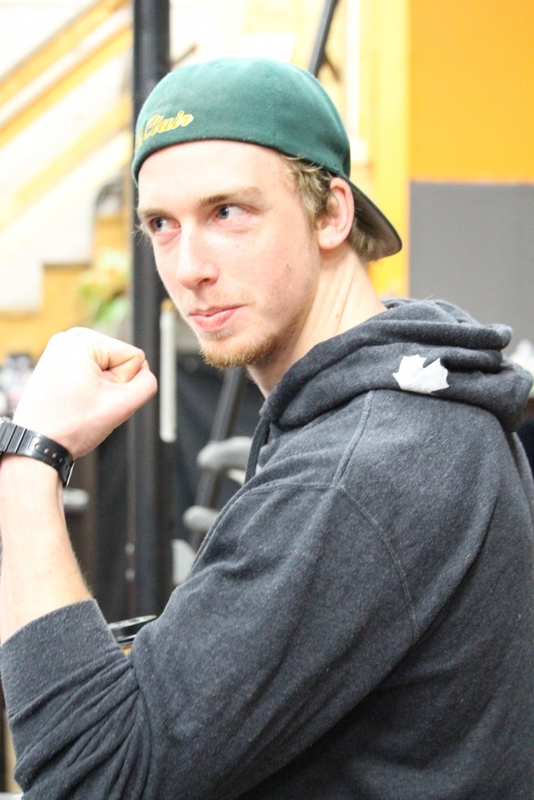 Shortly after starting CrossFit, I started training competitively in hopes of making the Canada East Regionals. Again, taking my training to another level, I fell deeper into the 'Kool-Aid' bucket. 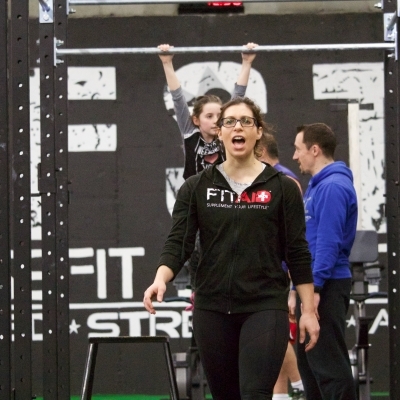 Within 2012, I started coaching CrossFit as an intern and obtained my Level 1 CrossFit Certification. 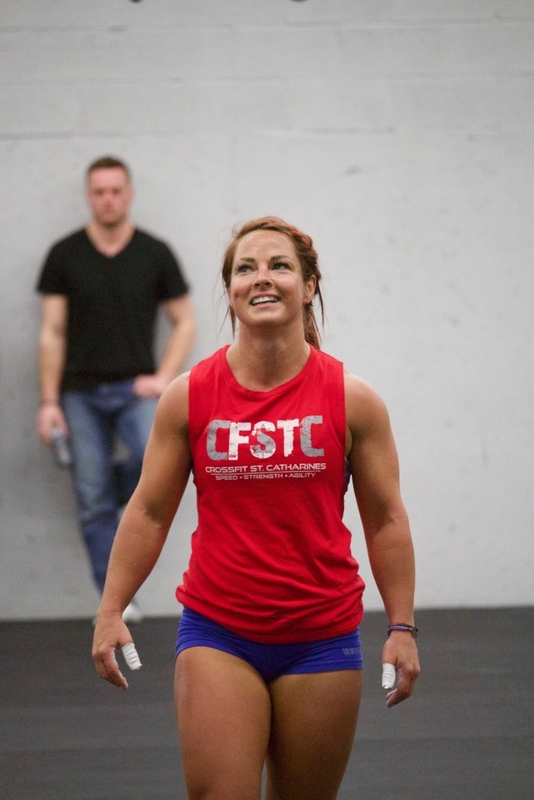 I also qualified for CrossFit Games Canada East Regionals and placed 18th overall in my first year (2013). 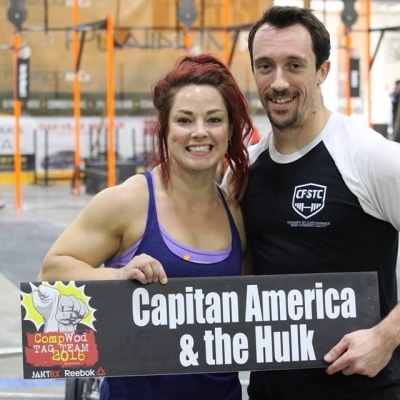 Since then I have done several competitions and managed to qualify for the East Regionals in both 2015 and 2016. 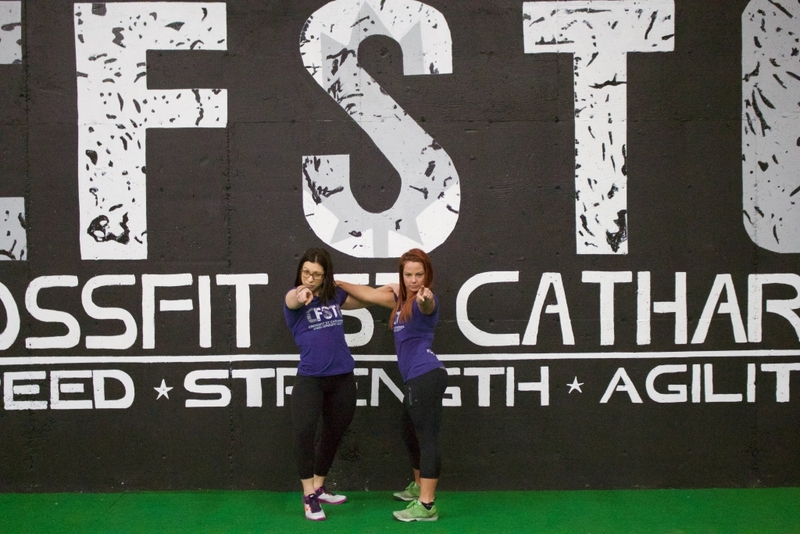 Opening CrossFit St. Catharines and building our amazing team was one of the best decisions I've ever made. Being able to bring together an incredible community unlike any other, helping people on a daily basis to realize their potential in ways they never thought possible and being able to do it while dancing, laughing and having a blast is something I wouldn’t trade for anything. Every single day I get to come to "work"... but its never work, its my passion and I love every second. 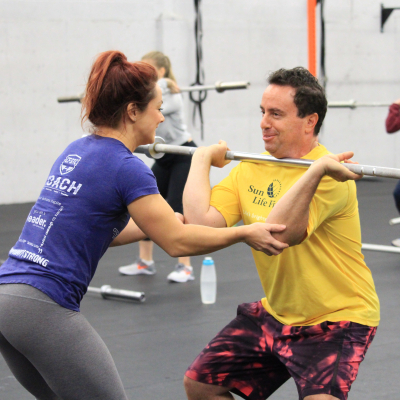 Justin is part owner here at CrossFit St. Catharines and takes superior pride in every opportunity to change someones life when they walk through our doors. During my undergraduate degree at Brock University I played for the varsity baseball team. I was a part of the 2010 OUA gold medal and CIBA silver medal team. Although finishing on a high note with the team, I needed to undergo reconstructive surgery on my shoulder from baseball injuries. Since the surgery in June 2011 I have recovered well and couldn't have done it so successfully and quickly without CrossFit. 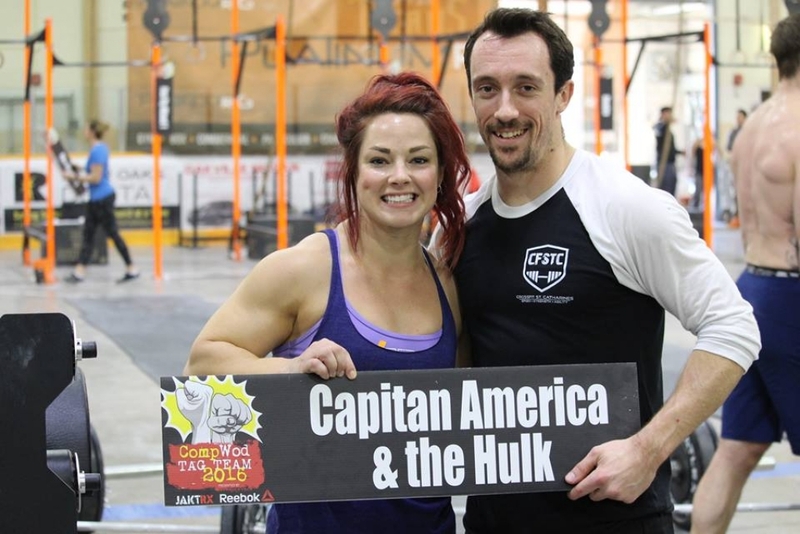 I am now able to compete in CrossFit competition and most importantly have fun training for it. Having a background in Kinesiology and having to recover from injuries and surgery myself, I am happy to program for those with injuries, in need of rehab, physiotherapy and recovery. 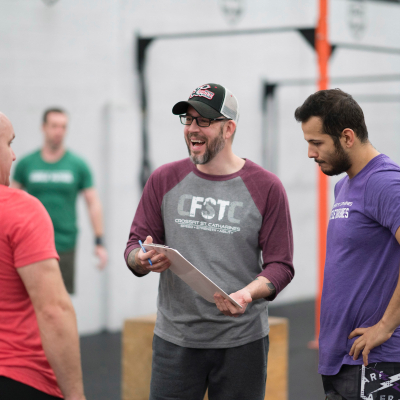 I am a Level 1 Certified CrossFit trainer and have completed the CrossFit Judges course to benefit my training skills and to apply this knowledge to judge competition athletes. 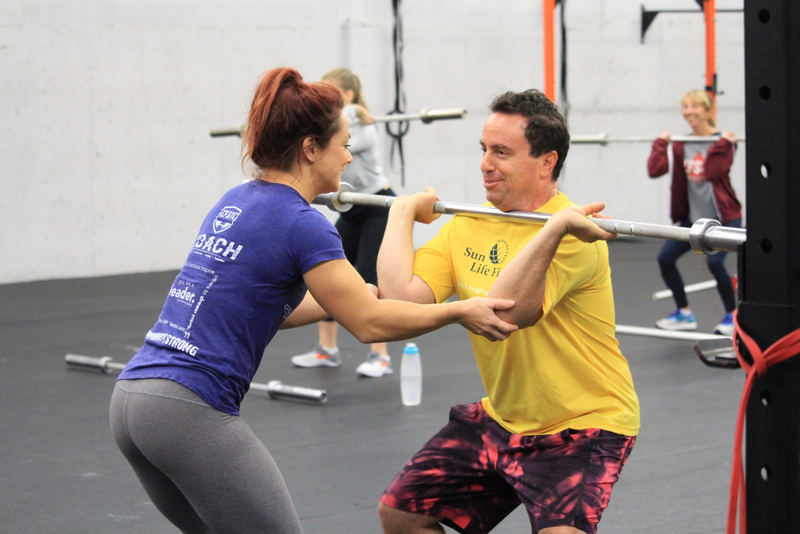 I love training others as much as I love training myself and I will always bring energy, enthusiasm, and knowledge to anyone I train at CrossFit St. Catharines or anywhere else. There is nothing more exciting to me than seeing someone realize their potential and achieving their goals that are geared towards health, fitness, and quality of life. My coaching and leadership background through my coaching experience in minor hockey, and amateur baseball instruction with the Toronto Blue Jays Baseball Academy allows me to further educate our off season team training. 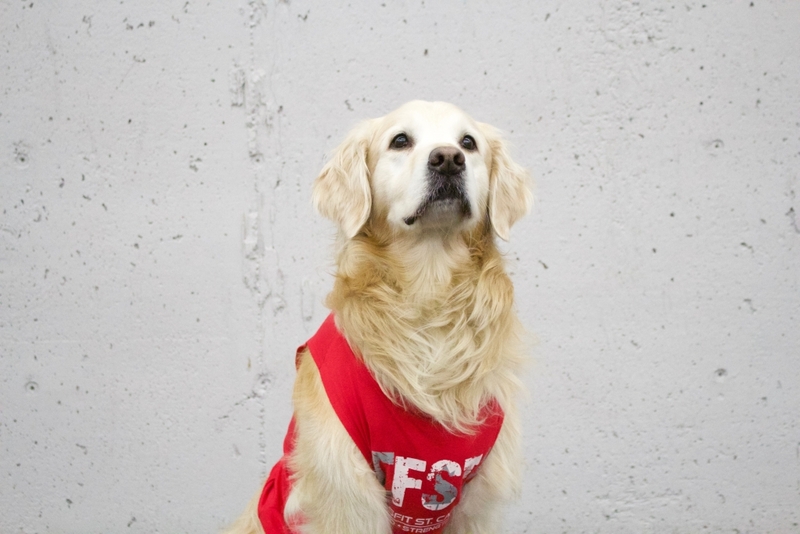 Tim is our Senior Coach and has been an avid part of our crew at CFSTC. Tim has shown us admirable commitment and training during his years with us. He is a gentle giraffe, but will whip you into shape in no time! I was introduced to CrossFit in high school by one of my teachers. I went to St. Clair College in Windsor for 1 year where I played baseball until arm injuries forced me to stop playing competitively. 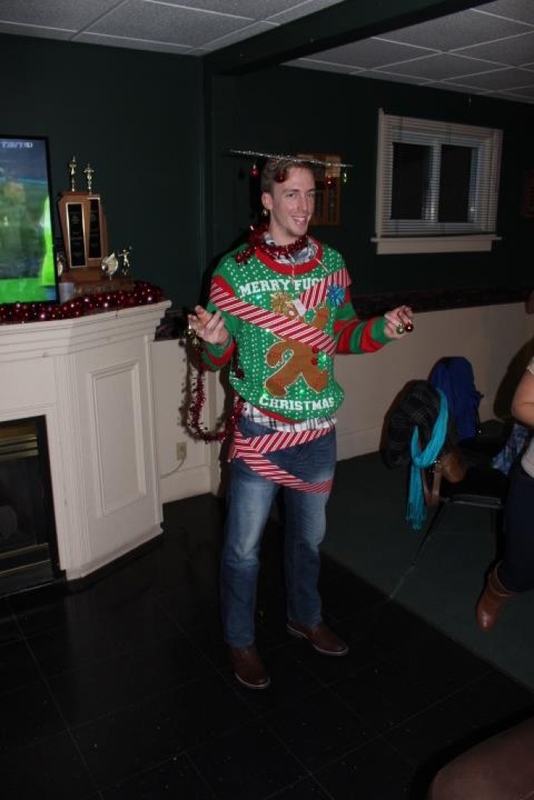 I started my degree in Kinesiology at Brock University in 2012, but still had not decided what I wanted to do. 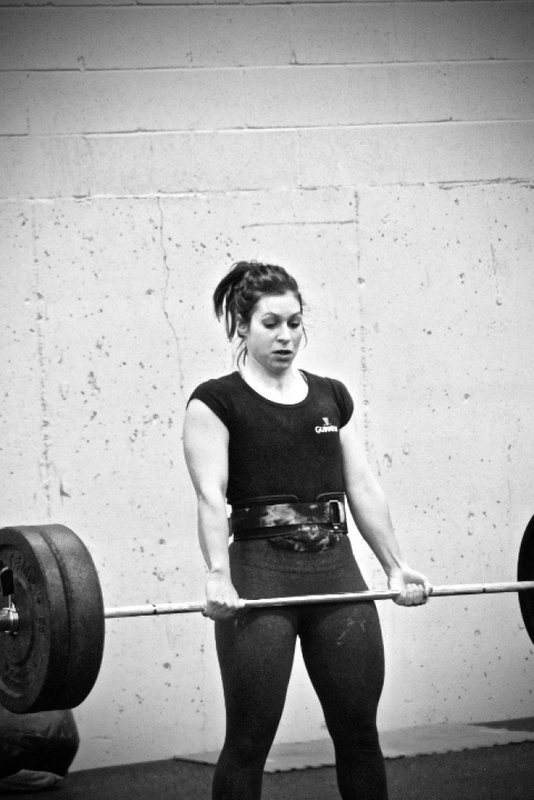 But when I had my first official CrossFit class in January 2013, I knew this would be a new passion of mine. My first workout was coached by Justin, and it left me lying on the floor. Originally my plan was only to try CrossFit for a month, then return to a traditional gym with some new skills. However, after that first workout I knew I was hooked, and I haven't looked back since. The competitive atmosphere gave me back something I had been missing and definitely needed since baseball. 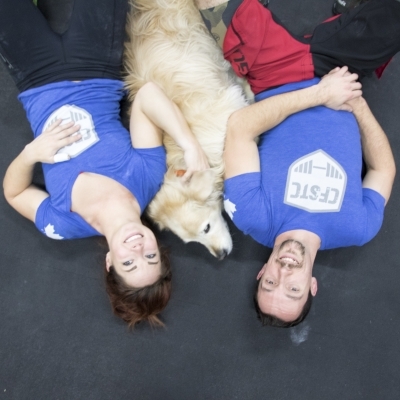 This, along with the amazing community that is CrossFit, kept me coming back for more. 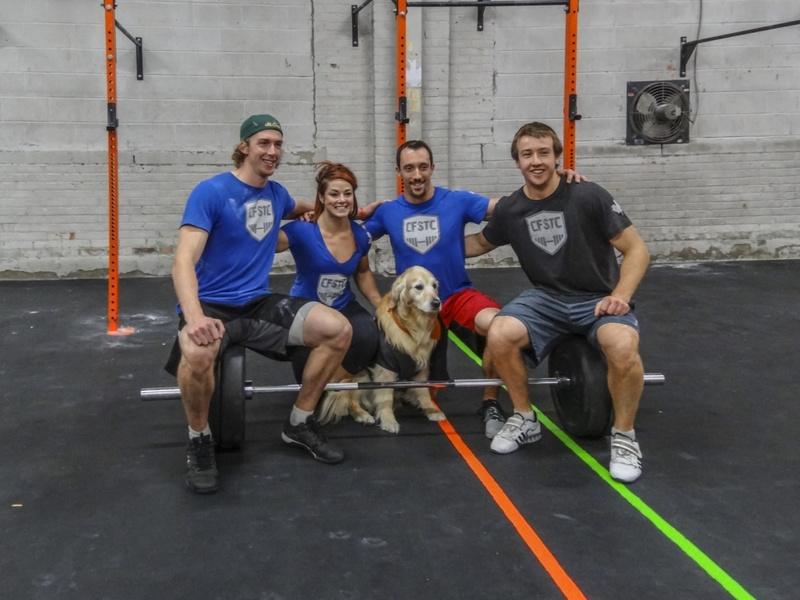 In the fall of 2013 I joined the Crossfit St. Catharines Competitive team, and a few months later I began interning with the trainers. My athletic background revolves mostly around baseball and other high school sports. In high school I played for the basketball and baseball teams, and was also a part of the track team for my junior years. My main sport has always been baseball in which I started playing when I was five years old and still play on a senior team. I was fortunate enough to be a part of two OBA championship teams, OFSSA finalists, and played at the Junior A level for three years, before going off to college. My passion for baseball gave me the opportunity to help coach for younger teams as well. I've used this experience to assist in my ability to be an effective coach at this box. 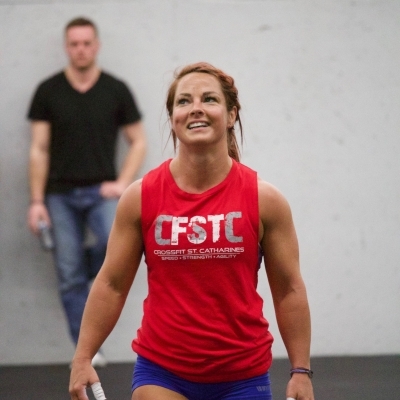 I hope to use my passion for crossfit to help everyone grow theirs as well! Katelyn is an incredibly passionate, bubbly and determined lady. 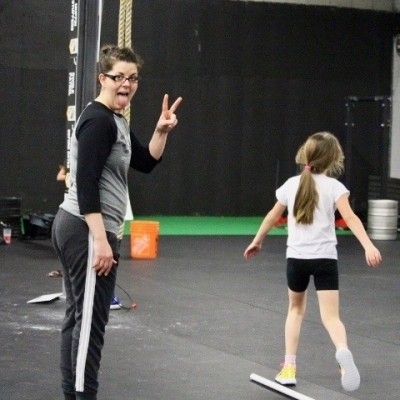 She brings so much energy and laughter to our team and every class she coaches! After graduating Brock University in 2012, and Niagara College in 2013, like most 23 year olds, I had no idea what I wanted to do. I filled the void of no longer being a student with working out. My brother was the first to introduce me to CrossFit. Growing up I was always an active individual. Focusing mainly on soccer, but I began to lose interest as I started getting older. I decided to give muay thai a try, but felt the team aspect was missing. I needed something to fill the missing aspect of sport in my life. 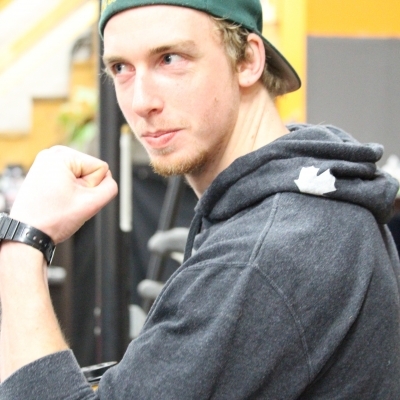 In April 2014, when I joined Crossfit St.Catharines it did just that. 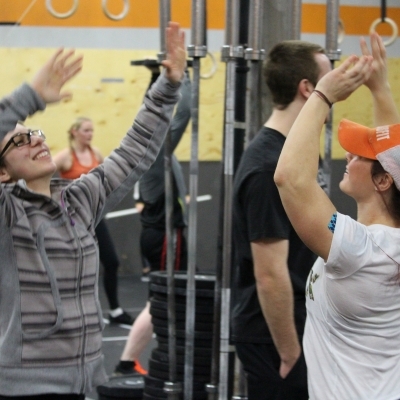 The day I walked in to Crossfit St.Catharines for my first fundamentals class, I was so excited to see everyone working out together, and knew right away that this is where I belonged! 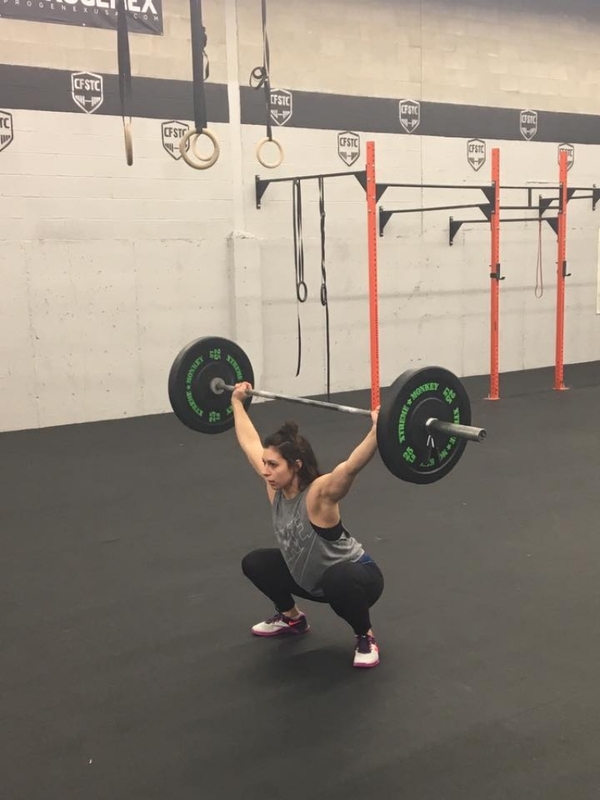 I quickly immersed myself into the community; joining the competitive team, and a year later in 2015 I wrote my CrossFit Level 1. 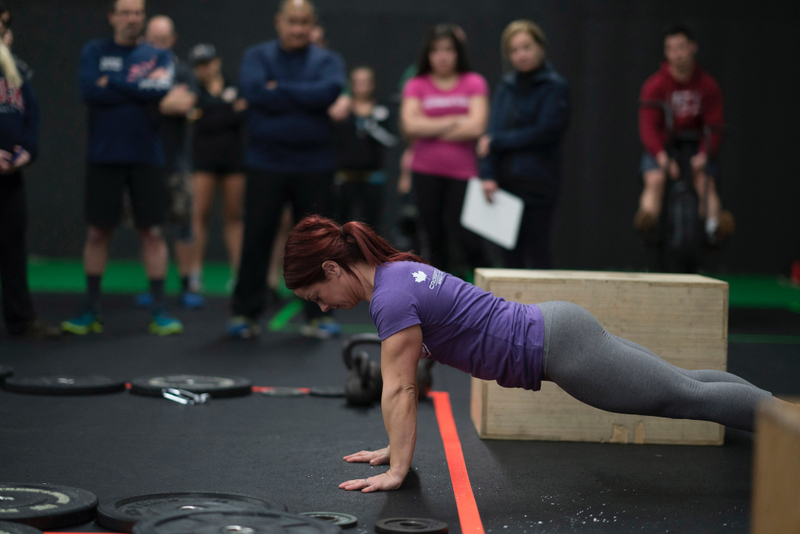 Crossfit has also taught me to consistently set goals, and work hard to achieve those goals. This is something I am passionate about, and want to help our members with, figuring out their own goals and achieving them! 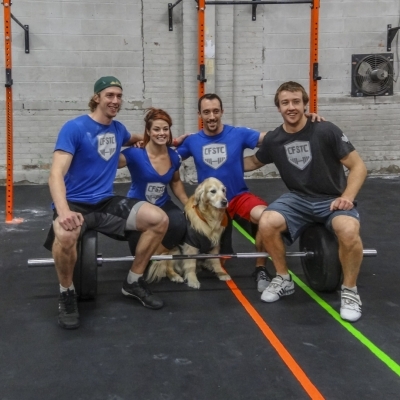 I am very thankful and excited to be joining an already stacked team of coaches here at Crossfit St.Catharines. 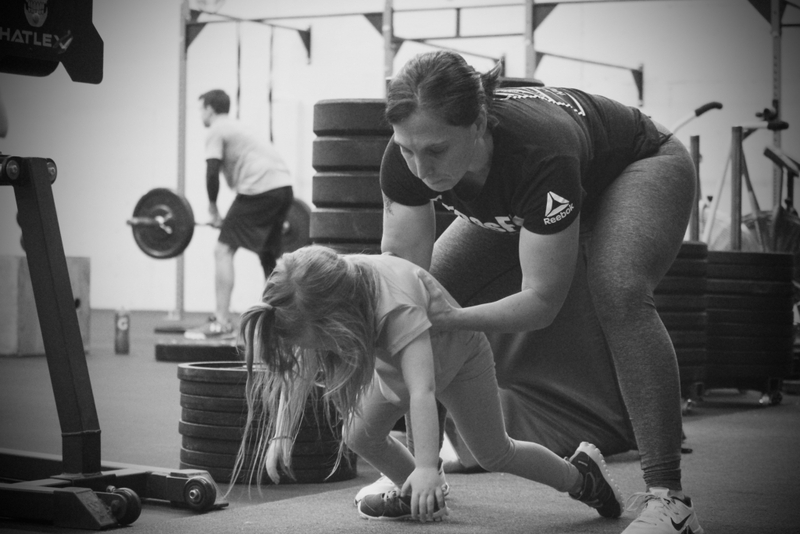 As a self proclaimed big kid, I am looking forward to helping develop the new generation of CrossFitters, through our little lifters program! 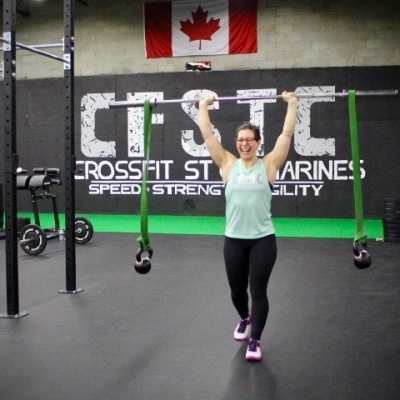 Vanessa is a very passionate, encouraging and strong female presence here at CFSTC! She's full of determination, dedication and fire! In the summer of 2015 I decided I needed a change in my life. I was bored with my gym routine and was not seeing any results. 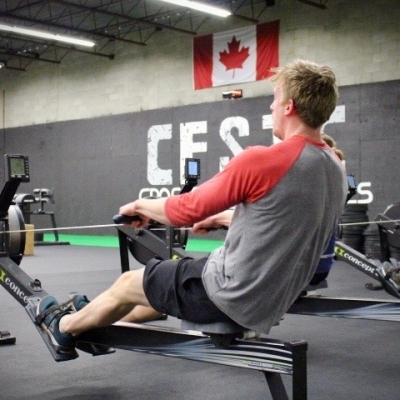 One day I decided I would check out CrossFit St. Catharines just to see what it was all about. The atmosphere really stood out to me when I walked in so I immediately registered for a class to get started. I absolutely fell in love with it! It was the perfect workout routine, challenging my body in aspects I’ve never tested before. Later that week I signed up for the year and ever since I knew I’d never go back to a standard gym again. In high school, I played rugby and I was on two competitive cheerleading teams. I then attended Brock University for Statistics integrated with computers which resulted in a heavy workload. Therefore, I was not able to play rugby or compete in cheerleading because they both had very high commitment standards. I decided to try out for the hip-hop team at Brock and competed in my very first dance competition. I stuck with it for 2 years, until I found CFSTC. This became my biggest priority and I’ve never been happier! When the opportunity to become a coach came to me, I instantly said yes with no doubt in my mind. I knew I would love coaching based on how much I loved creating and teaching Cheerleading/Dance routines. To see the growth and success in others is very rewarding for both myself and the girls I’ve taught. 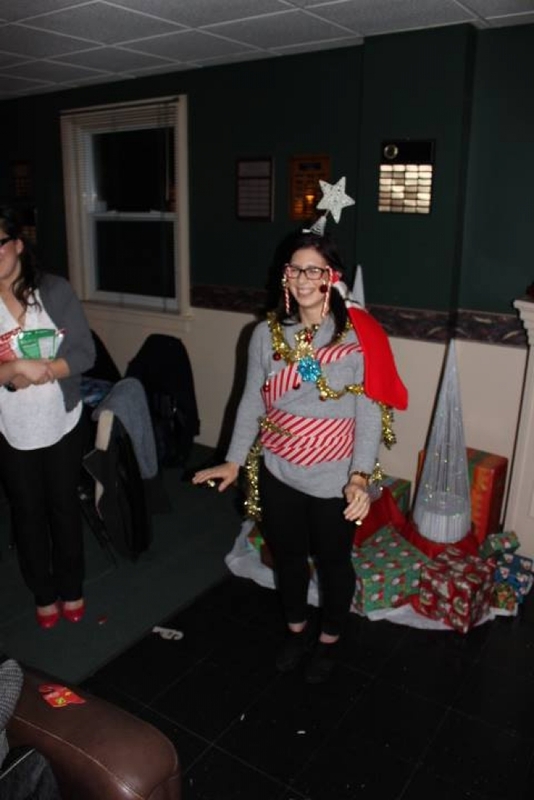 Leadership is an aspect that is very important in my life. The amount of skills, lessons, and knowledge one can develop through being a coach is incredible and up-lifting. 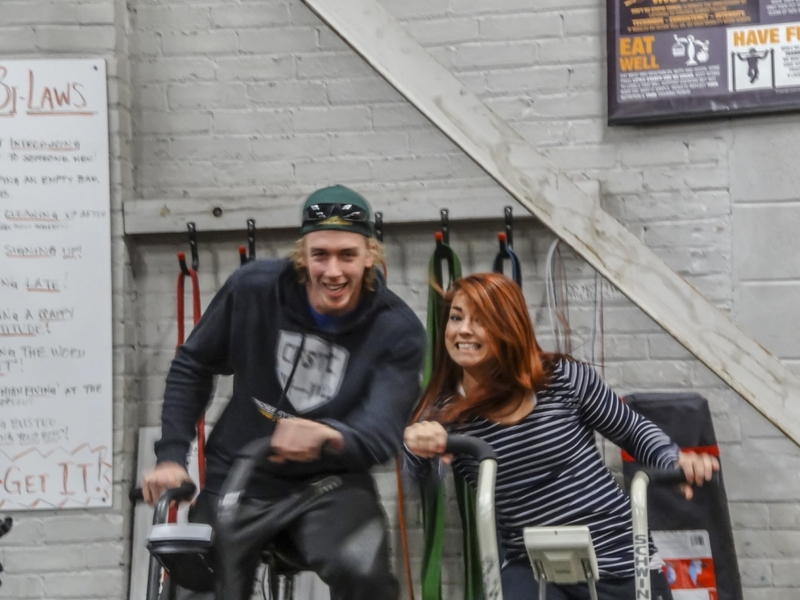 CrossFit St. Catharines is the best part of my day and nothing is better than going to a job you love. The members here are absolutely amazing and I can’t wait to be a part of them conquering their goals! Jim has a genuine heart of gold, a 'dad joke' sense of humour and a strong ambition to make every single person feel welcome and part of the family from day one! 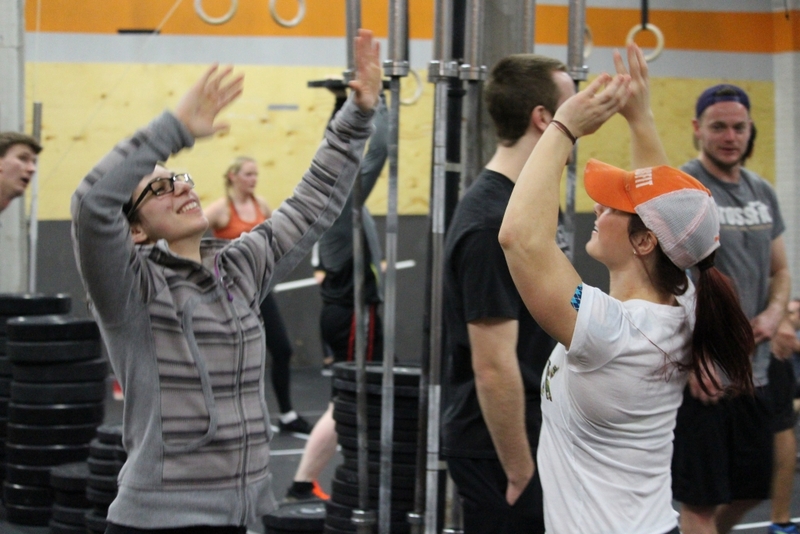 When I first heard about CrossFit, it was through some friends that had been doing it for a while. 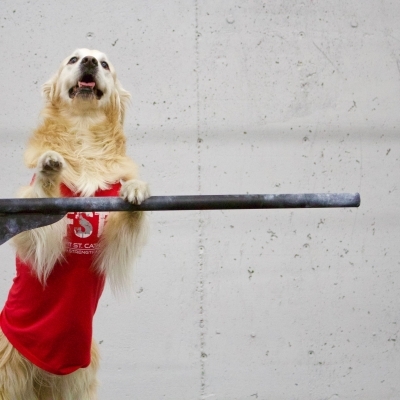 Coming from a very competitive sports background, I was interested but out of shape, so was very reluctant to try it. Once I finally decided to give it a try, it quickly became a significant part of my everyday life. Being able to work hard, competitively, but at my own pace, and get back in to shape was amazing. But most of all, what has kept me going is the feeling I get everyday from being a part of such an amazing community of people. Just like everything else in life, it doesn't work if you don’t work at it, but if you are ready to commit to yourself, then this incredible community is ready to commit to supporting you along your adventure, and that is something you won't find anywhere else. 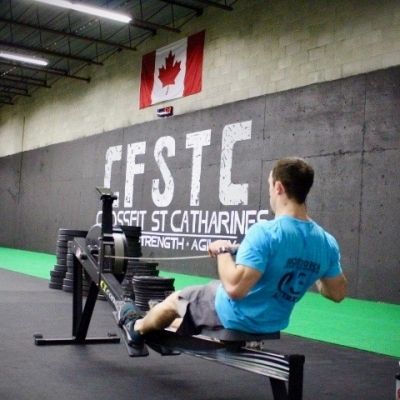 It is truly an honour to be selected as part of the CFSTC team, and I am really excited to be a part of this community from a new angle, and be here to support others through their transformative journey at such a top notch facility. The coaching staff here is second to none. It only takes a small step through that front door to realize you are now a part of something special! Miranda is a gentle soul with a contagious laugh that will put you in a great mood any day! 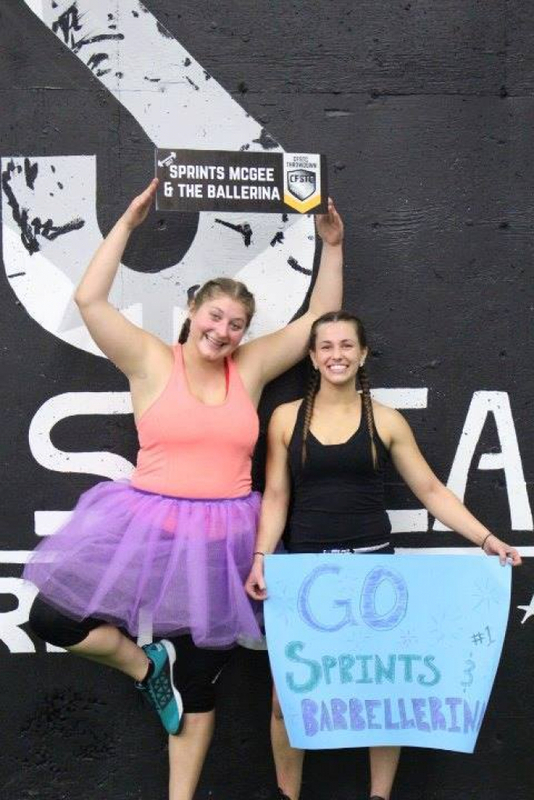 She's welcoming, supportive and a killer athlete to boot! Throughout my academic past I spent most of my time in pursuit of sport at it's highest level. This culminated for me with a proud four year university soccer career in Tennessee. After finishing my four years at Bethel University I decided to come back home and start a new focus in school to become a registered nurse. I am proud to say that I am now a registered nurse and I have the privilege of interacting with people and helping on a day to day basis trying to make their day a little better! With my shift in focus from sport to career I was definitely left with a void from not spending many many hours each week at the soccer field. I finally decided it was time to get moving and try something new that would challenge me and allow me to immerse myself in an environment that pushes me and holds me accountable (much like my soccer family did). 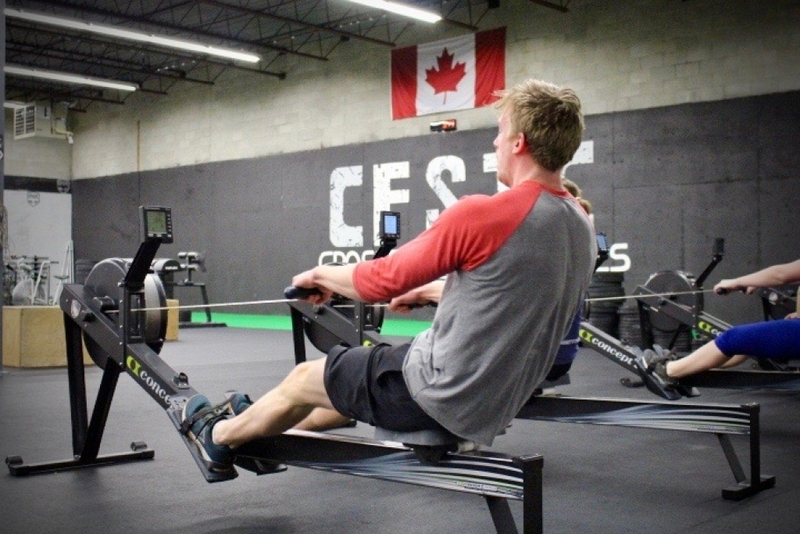 When I stepped in CrossFit St. Catharines there was no doubt in my mind as I knew this was the place for me. I love the training style, the coaching, the variety, and being around like minded people who push me to be my best within my training and outside of the gym too. 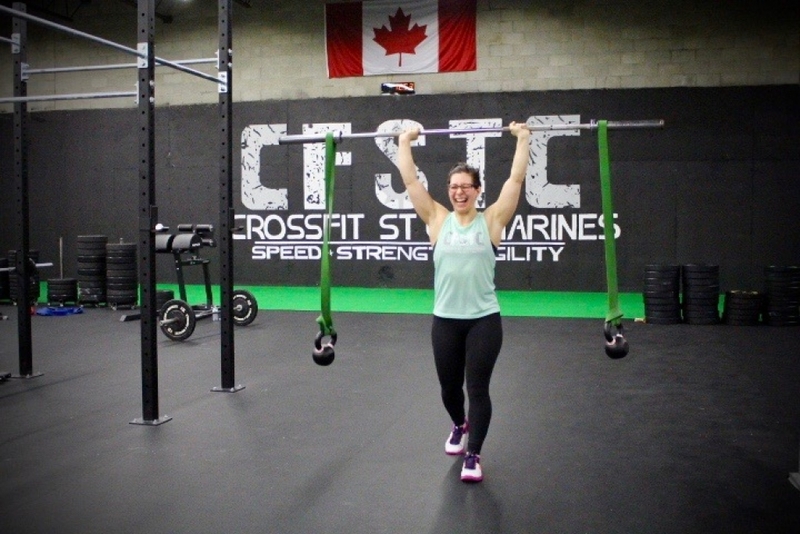 Just as I am excited to help people who visit me in the emergency room, I am so excited to help people learn about CrossFit St. Catharines and receive the service they deserve. I look forward to assisting CFSTC's kids program, which truly is unique to the Niagara region. And if you see me at the desk, don't hesitate to stop and say hi, ask me questions, or just chat. 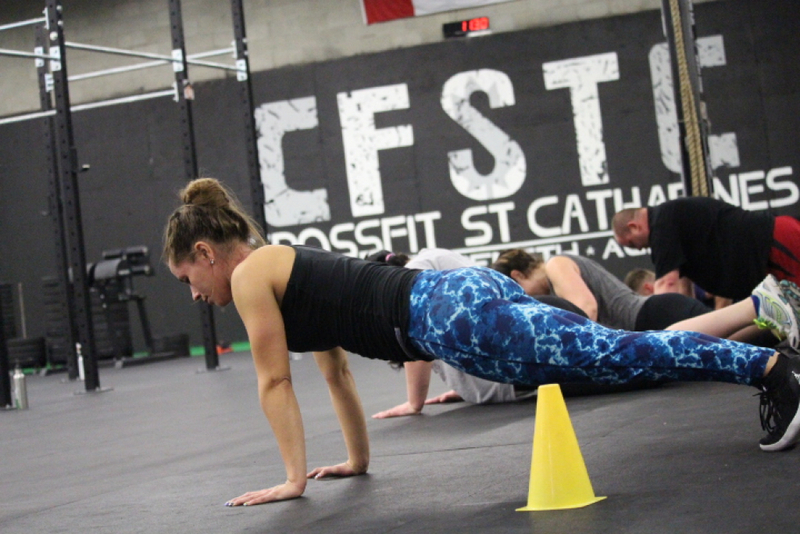 I started CrossFit in August of 2016 right here at CrossFit St. Catharines. I had only recently heard about the sport before I decided that it was something that I wanted to try for myself. 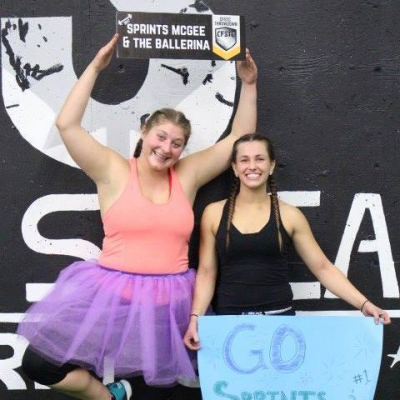 Only, once I had begun, I realized it was much more than a sport; it is a very friendly community filled with individuals who have common goals and love a tough workout. After my first intro class, I was hooked! I got through the fundamentals program as soon as I could and began a new journey that I will never regret. It took a while, but after many regressions and a few minor setbacks, I found a routine that lets me be healthy, and lets me be in the place that makes me feel just like at home. In high school, I was always unsure of what I wanted to do as a career. I hopped from wanting to do woodworking, to teaching music, to becoming a paramedic. But I later found that I would go a route that would help improve my own skills as well as help other people. I went to Niagara College for Fitness & Health Promotion to learn the standards to becoming a Personal Trainer. The program was very informational, and I enjoyed learning about leadership, anatomy, programming, and working with clients. However, I could not see myself training someone in a conventional gym. 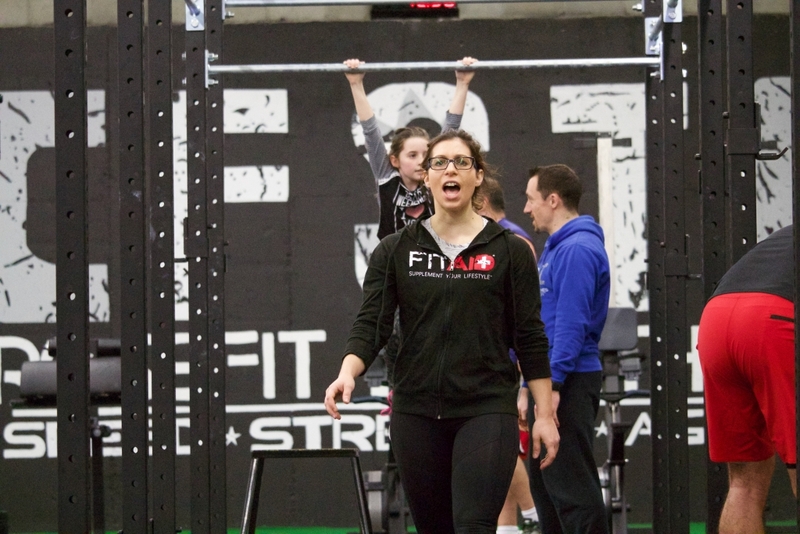 While in college, I spent most of my days at CrossFit St. Catharines; morning, noon, and evening! Many individuals would think I was somewhat of a gym rat, but rather, I would be observing and learning as much as I could from the other coaches. 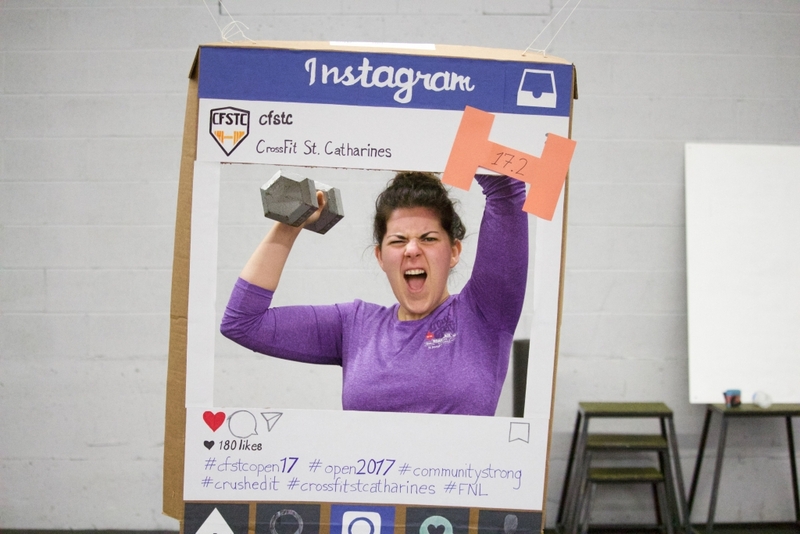 In my second (and final) year of college, I brought up to coach Justin that I would be interested in possibly completing my last field placement at CrossFit St. Catharines, and once I was given that opportunity, I strived to show everyone that I wanted to be there and would be more than willing to assist where I could. 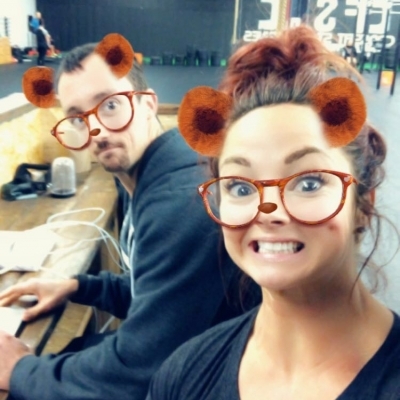 Nearing the end of my co-op with Justin and Ashley, I was informed that I would be going through coach preparation and I could not have been more excited. The opportunity to work for the place that has made so many positive changes in my life was outstanding. 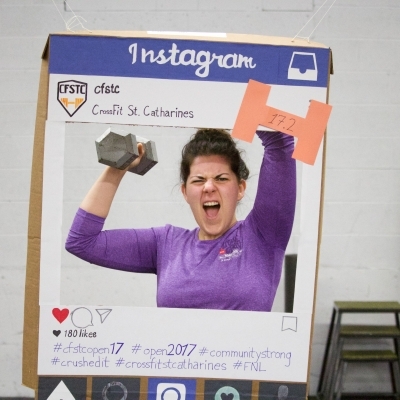 I can’t wait to motivate, teach, and help overcome goals of the members at CrossFit St. Catharines as it has done the same for me! 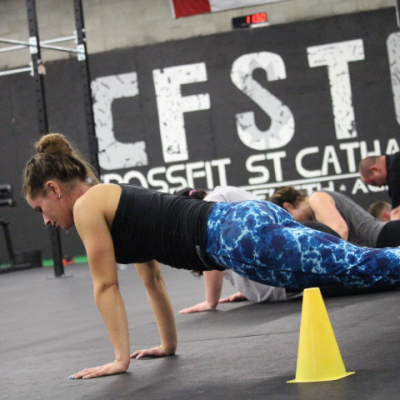 When I joined CrossFit St. Catharines, I had been searching for a while for a new gym or fitness class. I was out of shape and missed being physically active. While I have a background in competitive sports and was always active growing up, I found it tough to maintain the same levels of physical activity into university and post-graduation. I struggled with weight gain, injuries, and found it hard to consistently attend the gym. 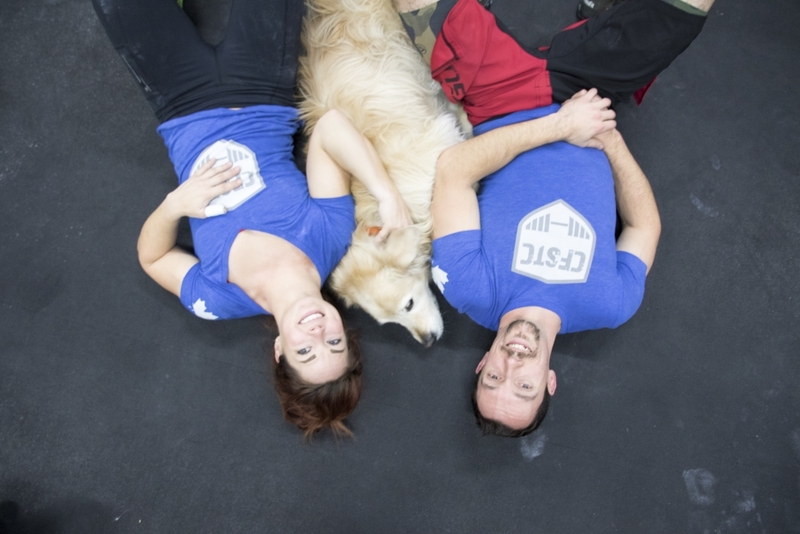 My first WOD in the fall of 2016 was a simple partner workout; it was hard, and my partner may have had to drag me through it, but it made me remember how much I loved the adrenaline and challenge of a good workout. As I caught my breath, I promised myself right then and there, that I would commit to improving my fitness. 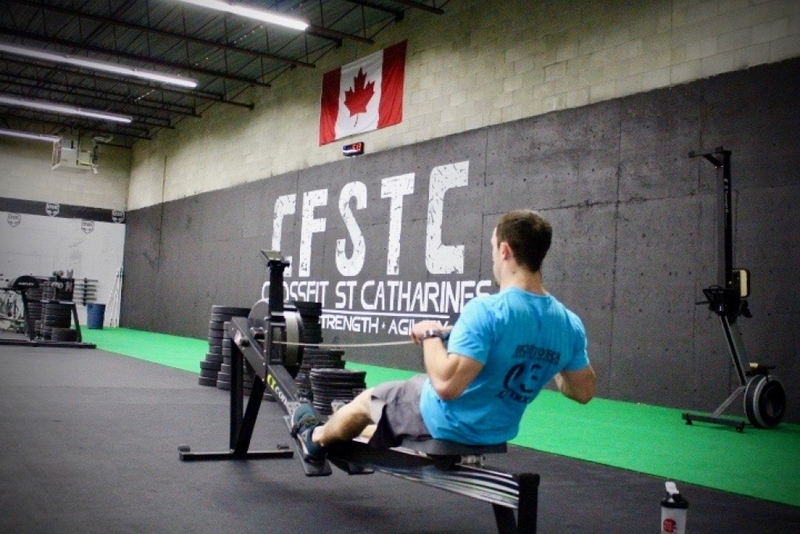 I choose CrossFit St. Catharines without knowing much about CrossFit itself. 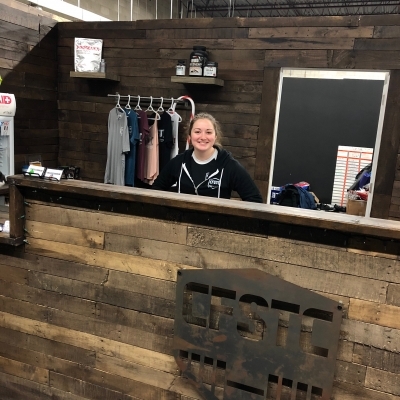 What I did know from the moment I looked CFSTC up and stepped foot in the door was that they valued safety, proper technique in their training, and developed programming based on scientific and research-based principles. 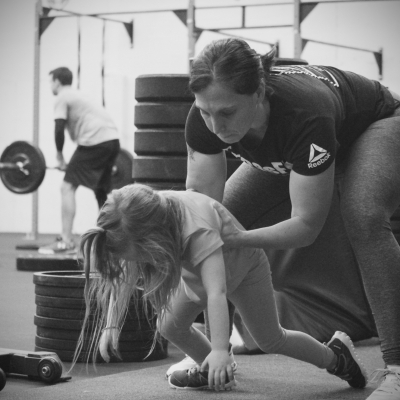 I knew that the coaches were knowledgeable, educated, and could provide high-intensity workouts that were challenging and fun yet focused on proper mechanics, scalability, and improving health. 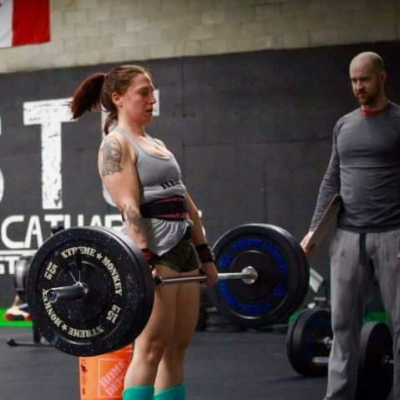 While these things may have led me to CrossFit St. Catharines, it is the community, friendships, and positive-environment that have kept me here. This gym has become a major part of my life and coming here is one of the best parts of my day. I’ve seen so many physical and mental health improvements as a result of my training in such a friendly, competitive, and motivational atmosphere. 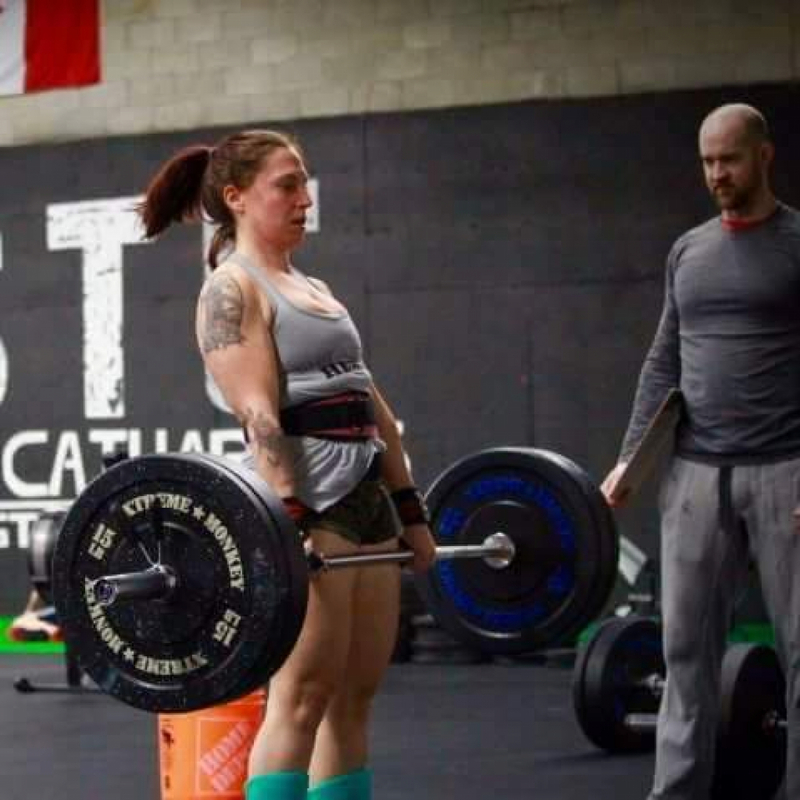 I’m excited to begin another new chapter as a coach at CrossFit St. Catharines and to be able to share my passion and knowledge for fitness with others. 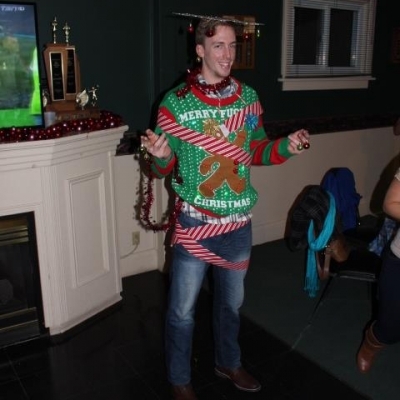 I am a graduate of the Bachelor of Kinesiology and Master of Professional Kinesiology programs at Brock University, and I have many years of experience in both team and individual sports, including baseball, hockey, and track & field. I love sharing with others the joys and benefits of fitness and am thrilled to join this awesome team of coaches to help others reach their fitness and health goals. 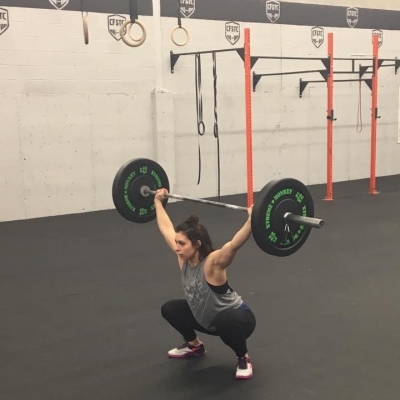 I am excited to help our members of all ages become stronger and healthier in a positive and safe environment and be a part of the growing and amazing community that is CrossFit St. Catharines. CrossFit completely changed my life in January of 2014. A friend and I saw an ad in the paper for intro classes and signed up for our New Year’s resolution and never looked back! Growing up I was always interested in swimming and dabbled in the competitive side of the sport during high school. I became a swim coach and lifeguard for many years, and become an aquatic coordinator as well. 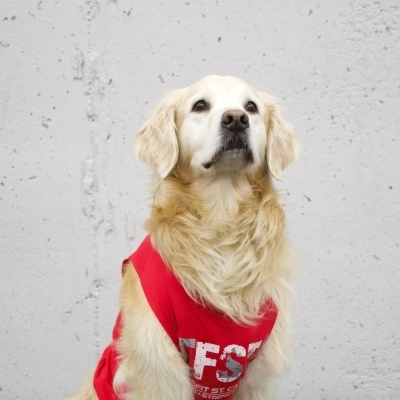 My interest in fitness started after graduating Brock University in 2012. I was always drawn to group classes for the camaraderie and extra push it gave me. 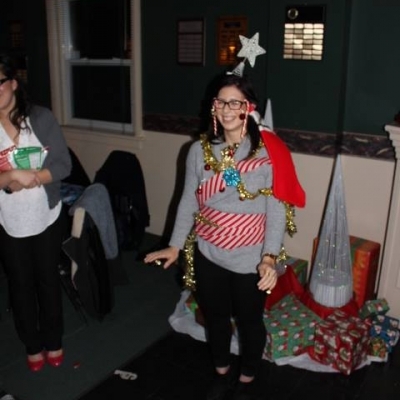 I became a group spinning, aqua fit, and core instructor in 2013 but something was still missing. I felt I really needed to find something that challenged my body in a whole new way. 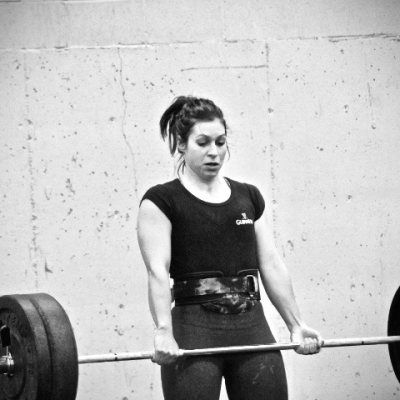 CrossFit definitely filled that void perfectly; it challenged my body and built my confidence! 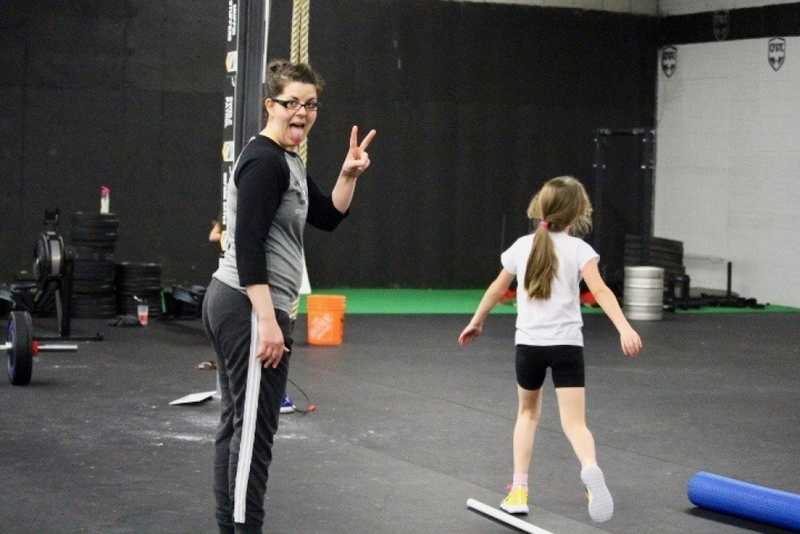 Coaching CrossFit was a natural progression for me, I love helping people get outside their comfort zone and helping them realize what they’re capable of, which is always much more than they think they are! 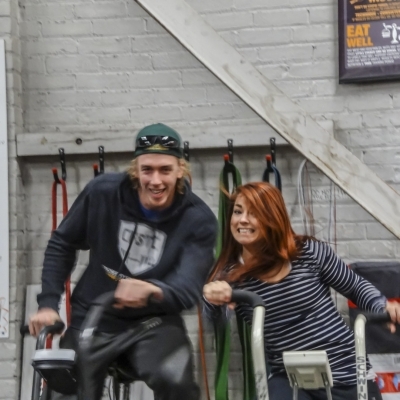 I am so happy to be a part of the CrossFit St. Catharines family, I have truly found “My People” here!